Videos posted online show riders performing wheelies, riding along the sidewalk and down stairs. Now claims have emerged from a former member that one of the bikers pulling those stunts is deputy Zack Schlief. A notorious dirt bike gang which has been tearing through the streets of San Francisco may be lead by a cop, a news report claims. Marin County Sheriff’s Office are carrying out an internal investigation after video emerged which purported to show one of their officers riding around with the infamous Bay Area Supermoto, or BASM, according to CBS SF. The gang are renowned for speeding and pulling dangerous stunts around the city, say the San Francisco’s police department. Not that people weren’t doing it elsewhere, but the idea of stunting around cities on bikes like this grew, as did people’s need to film themselves doing it so they too could be 12 O’Clock Boys. Last summer,this news article discussed how the behavior was becoming prevalent in San Francisco, and how the local police weren’t really able to do anything about it. Believe it or not, police have pretty strict chase policies. Because chasing riders means riders are more likely to crash and hurt themselves or other people, cops often try and take down plate information instead of going for a full-on pursuit, but a lot of these guys trade plates or ride without plates, and police have struggles with a way to stop the behavior. Now, Bay Area CBS affiliate KPIX is claiming they have an inside source on Bay Area Supermoto (BASM), the group they claim is responsible for all of the shenanigans and tom foolery. 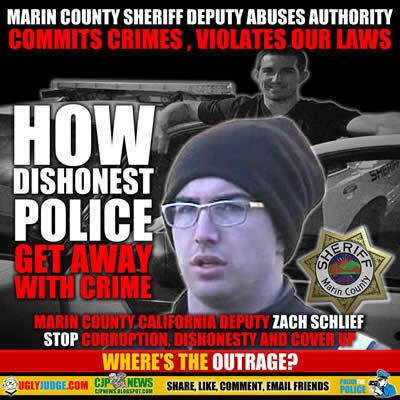 The KPIX news team ambushed Deputy Zack Schlief, confronting him about his involvement with BASM, the dangerous riding, and his role with the Sheriff’s department. Obviously, he denied everything. The BASM Instagram has since gone private, as has their YouTube account. It’s not clear what’s going to happen to Schlief now. KPIX reports the sheriff’s department is conducting an internal investigation. It’s possible he has wheelie’d his way out of a job. Leader of a dirt bike gang that has been rampaging through the streets of San Francisco a SHERIFF’S DEPUTY?